In 2001, yo-yo companies were clammering for novel new ideas for a yo-yo. A few companies decided to try to out-do each other by creating the smallest playing yo-yo that they could. 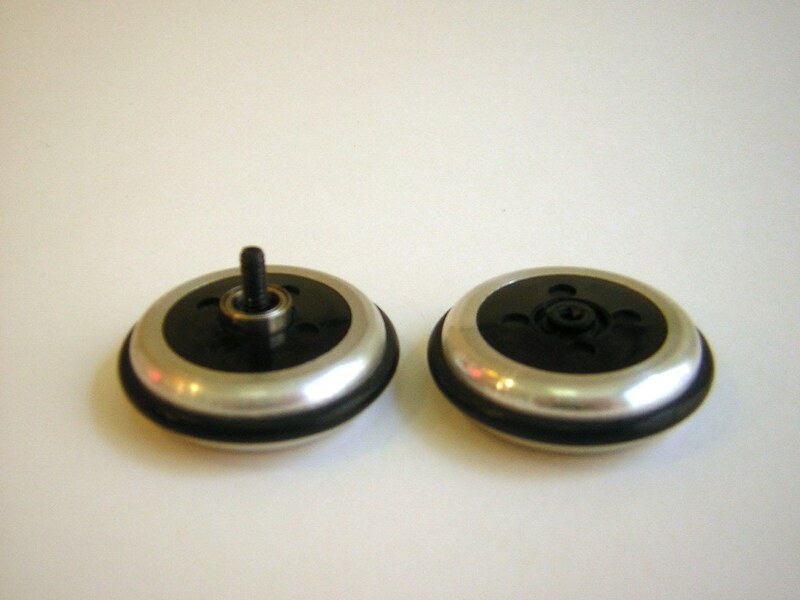 The first miniature transaxle yo-yo would undoubtedly have been the Mini Screwball, a Japanese yo-yo that was a narrow body design and just a little larger than a quarter. About a year later, YoYoJam, ProYo, and Tom Kuhn would all have their own entries in the mini market. YoYoJam’s model, the MiniJam, was in my opinion the best playing of all the other models. 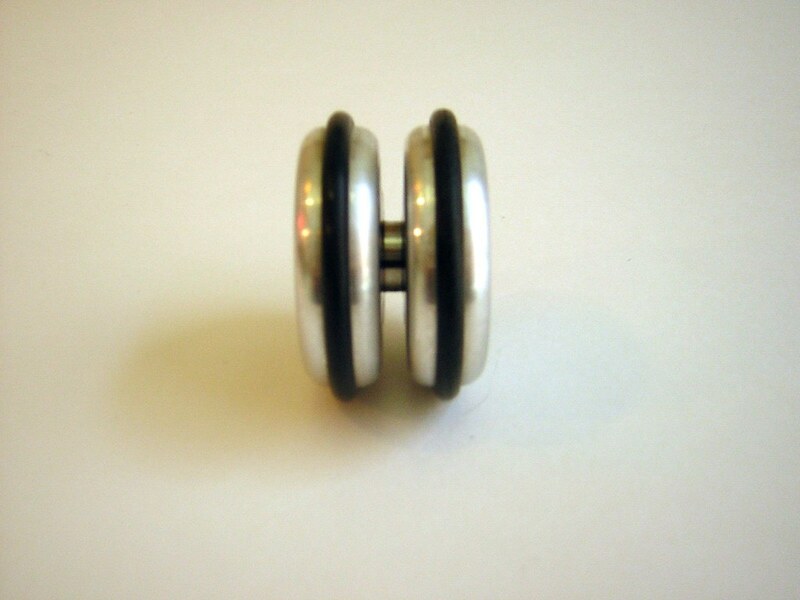 It has a plastic hub and aluminum weight rings (as opposed to ProYo’s and Tom Kuhn’s all metal minis) and pointless rubber rings that seemed to be the hallmark of YoYoJam in those days. The MiniJam was equiped with their “B” size bearing and negative starbursts. 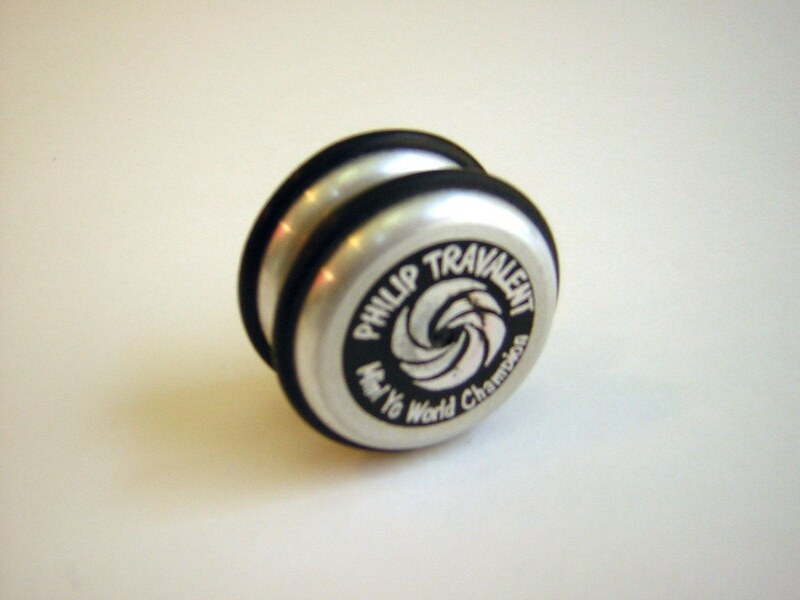 It was one of YoYojam’s earliest signature series, brandished with Philip Travelant’s name on the side and the phrase “Mini Yo World Champion” underneath it. I believe that title refers to a contest that either WindWizards or YoYoJam ran were competitors entered using only miniature yo-yos. This MiniJam is up for eBay auction here. My buddy Shawn has posted videos of young Philip here. And, as has been mentioned elsewhere, you can put Cobra/Viper shells on these by replacing the “pointless” rings with a couple wraps of tape and then fitting the shells. Makes a cool offstring yo-yo!